A little odd, but still pretty cute! 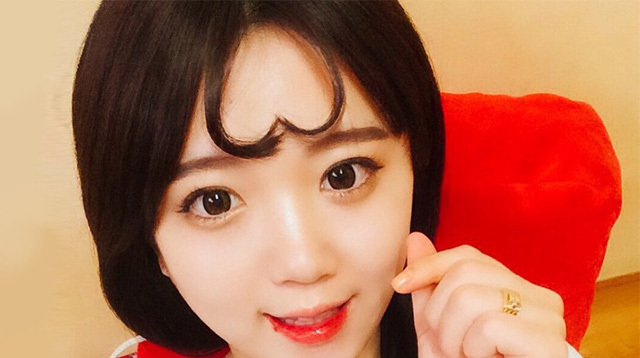 In Korea, women are trying this new bangs trend called “hateu aapmuhri” meaning “heart-bangs hair,” according to Kotaku. Of course they match this cute hairstyle with their equally cute makeup finished off with sweet pink lips. The trend kind of reminds us of Kendall Jenner's photo, which is reportedly the new most-liked photo on Instagram.